Extra! Extra! Read all about it! Broadway Balances America, a special six-part series airing on Lifetime Television’s The Balancing Act, returns on November 6 with an exclusive look at the touring production of Newsies. Tune in as The Balancing Act takes viewers behind the scenes of Disney's smash hit musical with the show’s Tony-winning choreographer Christopher Gattelli and some of the cast members from the Broadway tuner to find out what it takes to be a “newsie” on stage. In this episode, correspondent Amber Milt travels to New York to cast a spotlight on “Get Up and Go,” the new Disney wellness and fitness national initiative, which promotes fun ways for kids to lead healthier lifestyles inspired through the show’s Tony-winning choreography and music. She’ll also learn the show’s iconic “newspaper dance” from the thrilling Act I closer “Seize the Day.” The “Get Up and Go” program is brought to schools across the country to show students how they can be physically active through dance. In addition to interviews with Gattelli and some of the show’s “newsies,” we’ll hear from Liana Hunt, the actress who played Katherine in the Broadway production, regarding the importance of balancing personal life, nutrition and health with a busy performance schedule on Broadway and on the road. 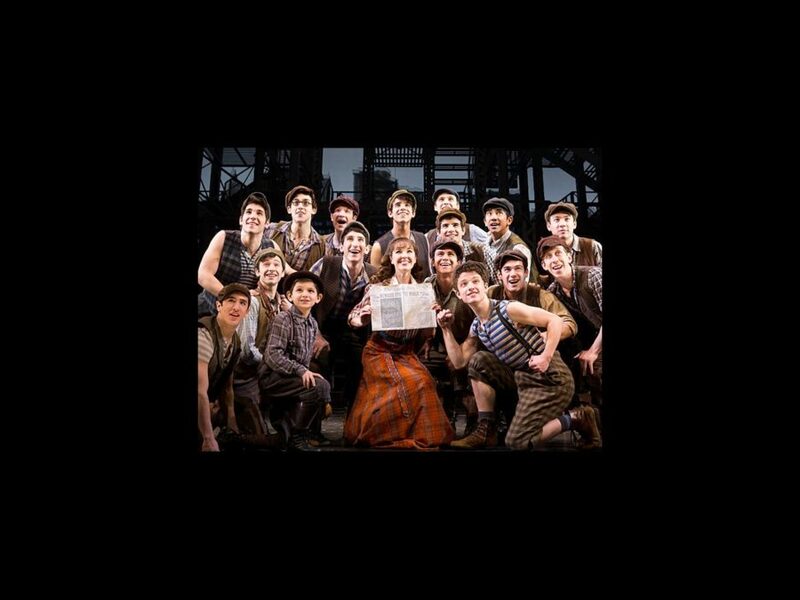 Set in New York City at the turn of the century, Newsies is inspired by the real life newsboy strike of 1899 and is the rousing tale of Jack Kelly, a charismatic newsboy and leader of a ragged band of teenaged “newsies,” who dreams only of a better life far from the hardship of the streets. But when publishing titans Joseph Pulitzer and William Randolph Hearst raise distribution prices at the newsboys’ expense, Jack finds a cause to fight for and rallies “newsies” from across the city to strike for what’s right. Newsies features a Tony-winning score with music by eight-time Oscar winner Alan Menken and lyrics by Jack Feldman, a book by four-time Tony winner Harvey Fierstein and direction by Tony nominee Jeff Calhoun. The entire creative team has reunited to bring the break-out smash musical to audiences across North America.